United States immigration visa services are extremely complicated. 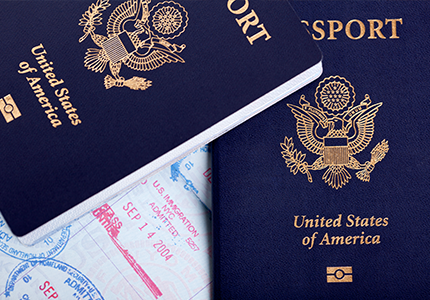 Living and working in the USA is possible through a range of different visa options. The US Green Card / Immigrant status can be obtained under several categories. The USA also offers a range of non-immigrant visas for employees and new immigrants. Bilimoria & Associate are Immigration Consultants and specialist in visa processing in Chennai has been providing Immigration services for USA to many applicants every year from different parts of the country and around the world. As an Immigration Consultant Bilimoria & Associate offers the applicants full range of immigration services that suits the requirement towards obtaining their respective visas. In order to become a lawful permanent resident of USA an applicant must hold a Permanent Resident Card for at least five consecutive years. If during that time marriage to a US citizen takes place, eligibility will be shortened to three years. US immigration is governed by United States Citizenship and Immigration Services (USCIS), which is a branch of the Department of Homeland Security. USCIS promotes national security through processing immigrant visa applications as well as managing other immigration tasks, such as granting permanent citizenship or permanent residence. We have a number of US immigration guides detailing commercial US visa categories, these include the B1, H1B, L1, E1, and E2 visas. We also cover US green cards under EB5. Bilimoria & Associate’s mission is to enable prospective immigrants to take advantage of USA growing economy and urgent need for skilled and business migrants who can expect to enjoy a high standard of living, excellent educational facilities and real quality of life in USA. If you are interested in migrating to USA, please contact fill out the Assessment form which is found in our website and we will assess your eligibility and advise you how to proceed further. Bilimoria & Associate liaisons with the Member of Oregon State Bar Association and Attorney in good standing, USA (OSB) and we also liaison with member of the American Immigration Lawyers Association (AILA) towards preparation for all types of visas for USA for clients and we strive to achieve the highest possible standards of professional service. The members have many years of experience in the field of preparing successful application for USA Immigration visa.